Glenna Durham thought that she’ll be able to escape her case of murdering her own husband since it was believed that she’s also a victim of an alleged intruder assault inside their home. However, findings turned 360 degrees after their pet parrot broke his silence by re-enacting what actually happened the time when the crime happened. Martin, Glenda’s husband had an ex-wife who helped on his case to achieve the right justice he deserved. Christina Keller, Martin’s ex-wife, figured out what message her ex-husband’s parrot was trying to tell her. Thanks for the parrot’s ability to mimic the voice of his owner and for being much more attentive during traumatic experiences. The parrot was able to re-enact the actual conversation of Martin and his wife Glenna before the bloody murder happened. It can be heard that the parrot exclaimed how Martin tried to stop his wife from pushing the trigger button of the gun. “Don’t shoot! Don’t f*cking shoot!” Bud, the parrot, repeatitively said. Later, Glenna tried to kill herself but was unsuccessful causing the authorities to conclude that she was also a victim. Same with the authorities, neighbors also thought that the couple was just victims since they found them both lying bloody on the floor after hearing several gunshots from their home. According to the investigation, the murder case resulted from the couple’s financial problem where Martin sold their home in a foreclosure deal. 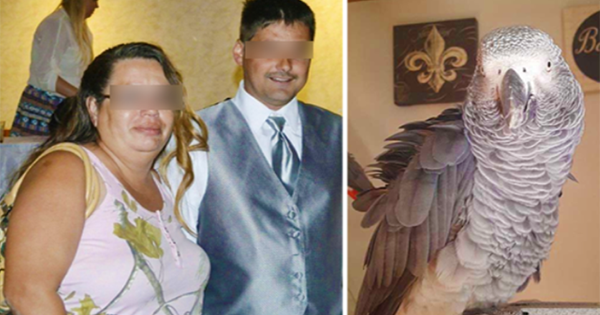 Now, the parrot is in the custody of Martin’s ex-wife, Christina Keller.